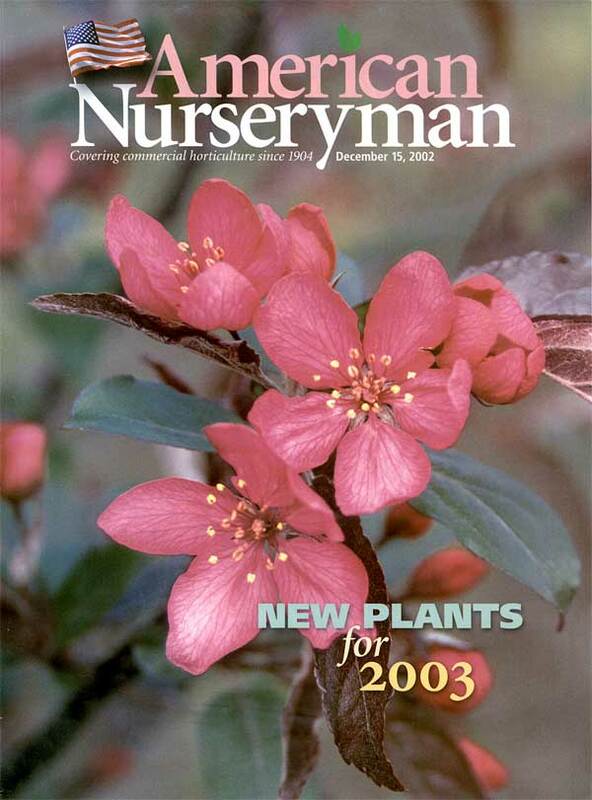 Royal Raindrops® Crabapple entered the marketplace with a flourish when its bright magenta-pink blooms graced the cover of American Nurseryman’s “New Plants for 2003” edition. Since then, our “cover girl” has proven to be much more than a pretty face. It is fast becoming a favorite of growers, garden center retailers, horticulturists and gardeners across the continent. Royal Raindrops® Crabapple is named among the small-scale, easy-care, disease resistant trees that perform well in difficult locations and situations. Royal Raindrops® Crabapple is named among Garden Gate Magazine’s top plants for 2008. Editors praise its unique foliage and four-season beauty. Dee, an avid gardener, freelance writer and creator of an Oklahoma gardening blog, caught “Royal Raindrops fever” at the 2008 Oklahoma Gardening School where JFS sales rep Jim Ord presented New Trees for Oklahoma Landscapes. Named among the 10 most highly regarded crabapples at Ohio State University’s Secrest Arboretum, and called “one of the best new cultivars” by extension horticulturists Draper, Chatfield and Cochran.